Renault Captur is now launched in India at the starting price of Rs. 9.99 Lakh (Ex-showroom Pan India). Read here why to buy Renault Captur SUV. Know Renault Captur price, features, dimensions, exterior, interior, ground clearance, boot space etc. Renault Captur, the French Compact SUV is launched in the Indian auto-industry at the starting price of Rs. 9.99 Lakh (Ex-showroom Pan India) for the petrol variant. Here in this article, we have mentioned the Renault Captur price, features, interior, exterior and other details. Also check out the 5 good reasons that will induce you to buy Renault Captur compact SUV. The upcoming Renault Captur car is designed bold and definitely has a stunning presence. The exterior is presented in a dual-tone combination and the car is characterised by wholesome design lines. First-in-class Ergo design leather seats is another charm inside the Renault Captur SUV. The seats get diamond pattern gold deco stitching that adds to the overall premiumness inside the car. The best advantage of these Ergo design leather seats is that they offer raised comfort levels while driving on long tours. The first-in-class Infinity Instrument Cluster can turn out to be the USP of Renault Captur. Never seen before in any Indian car, this feature is sure to delight the buyers and give them a feel of driving a racing car. The digital setup of the tachometer along with large dials of both the fuel indicator and tachometer are a sure treat. 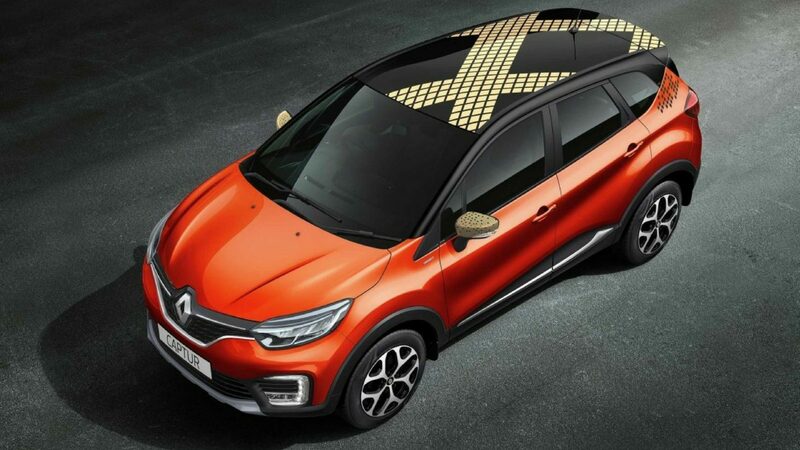 Renault Captur is available in 2 exclusive themed personalisation packs – Diamond Deck and Urban Connect. These fashion-inspired dual tone exterior are rarely seen on Indian cars. ALSO READ: Ford EcoSport Facelift 2017 Launching On November 9, Variant-wise Features Leaked! Last but not the least, the Renault Captur SUV is spacious than the rival Tata Nexon SUV.